The movie ‘The Last Samurai’ comes to mind. The armies of the forefathers were far more equipped strategically to deal with matters of war and this certainly did not rest on the battalion numbers and equipment. One of the lessons from that movie. . .be careful who you think you can govern. Heritage takes precedence over everything. Turn on CNN and you’ll find the news as it is….sometimes exaggerated; there’s very little good news at the moment. The current state of the world is at a point of strained cadence. Globally and geographically the world may have seemed flat, but economies are overwrought. This is accentuated by the fact that companies and governments alike seek sustainable solutions to “do more with less.” Certain natural resources are no longer plentiful for various reasons, food is simply scarce because most of it is wasted. Populations and urbanization continue to rise due to employment centralization and the snail’s pace of infrastructure development to accelerate economic activities in stagnant areas.This is a resident nuance in Africa. Today however, the world is looking to emerging markets, particularly Africa. They have their eyes set on us. Let us remember that while CEO’s at the WEF 2015 stated that technology is great for learning in Africa, who of them reported this as part of their annual results linked to profit margins? Technology companies are profit driven and invest in profit driven growth. In droves they come, setting up shop as multinational companies. Included in their suitcases are an array of experiences and skills that have been tried and tested in developed economies. Soon enough they realize that more challenges and risks exist rather than opportunities – if not managed well. If these investors do not have a ‘pack’ case full of effective methods and behavioral studies that satisfy the needs of local markets that liquesce into local communities, environments and cultures, they will not achieve success. German engineer Karl Benz invented the first petroleum-powered automobile without knowing that he had not just created an engine with wheels but stirred a revolution of inventions. For generations to come, he set the chain-ring in motion for an industry that revolutionized the way in which society was structured, and it has evolved ever since. Similarly, English computer scientist Tim Berners-Lee had not just built the world’s first Web site, he became Alexander the Great because of what we now know today as the World Wide Web. As with many inventors they unselfishly and not through ignorance, ignored the impact of that which we enjoy today. There are four critical elements to note that will guide us when it comes to innovation in Africa going forward. The first is ethical compass: the world is riding a wave of super waves from economic growth in places such as Africa. Frankly speaking,we still have a large uneducated population who seek the ability to “consumerise” and not make financial decisions that would impact sustainable livelihoods. This is the continued theme of the Africa Progress Panel; to slow and ultimately halt corruption being channeled through illicit outflows. We have the multinational CEO’s who use these opportunities to take advantage. This is how it plays out. Corruption is pointedly carried out in sovereign countries by their respective officials and it is then that money that is shifted to tax havens by multinationals. This subsequently stunts innovation. How? Through lack of investments in local economies and research for African solutions; Africa is losing out as a continent. Innovation must have a moral compass. Innovation must initially rectify and advance life in Africa and then serve as an economic export. The CEO of Coca-Cola recognizes this, he reiterates that if it is African then Africa must reap the financial rewards and hold the intellectual property rights. Secondly, sustainable innovation: according to the WEF 2015 report; Most consumers in emerging markets desire and prefer products which are cost effective and that enhance innovative functionalities. Therefore, finding the optimal balance between innovation and cost is one of the most significant elements of driving sustainable innovation.This is also an essential dynamic to gain customers and achieve sustainable growth in emerging markets. Nonetheless, there is some level of disagreement here. 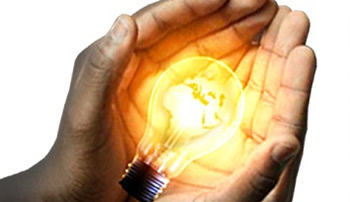 Innovation functionality must solve a problem from the perspective of the African consumer. No longer based on the notion of limited resources, can we invest only in consumerism? Innovation resources must have a source. If this source is in Africa, what are the sustainable impacts given the lagging stages of development on the continent? We have to think much deeper. Thirdly, speed to market via infrastructure: at an average growth rate of over 5 percent in most African countries, sustainability is an acute question. If we measure the cost to benefit ratio of a smartphone to the majority of consumers in Africa, cost will top actual productive use and household affordability. If we investigate the number of internet users from the 400 million smartphone users, can we honestly say that there is an impact on improved quality of life? Again, this may be creating room for understanding or misunderstanding the playing field in new markets. Despite an increase in growth, there can be the possible dangerous misconception of linking investment and population poverty to economic mainstream conversion and migration alike. In the current form, speed of delivery of innovation must meet speed of infrastructure innovation. Plug the annual $40 billion infrastructure funding gap and let’s get the ball rolling. Fourth, Meet the Local Partner: ideally there should be qualified local partners who can meet the expectations of handling major investments. This is ideal to enable investors to integrate well into local geographies as well as provide the know-how on navigating local markets. If we go back to the history of the industrial revolution, specifically the depictions of economic progress, we find that there existed many economic models that tested negative. Thus, the stories being put forward on innovation in Africa are to some extent ignoring the fundamental narratives of the African people, history and status quo. I have browsed most quotes on innovation from the the internet and from the WEF 2015, a body and gathering that I hold in high regard; I find that there is a deficit in research, particularly on Africa and emerging markets; the research is more steered to making innovation of European and US based technologies available to African consumers. In a world where the US and Europe are lagging in growth and emerging markets continue to receive the bottom of the shoe coverage irrespective of the fact that their markets have the greatest growth and prospects for investment, one wonders who to listen to. We need change and the Chair of the WEF ought to take cognizance that African CEO’s who have built billion dollar companies across the continent should be the ones steering thought leadership.Or maybe, just maybe, innovation should start with sufficient and quality media coverage which showcases African’s skills and talent; a people with a history of storytelling well. Addis Ideas is a revolutionary mobile application that allows Africans to improve the communities around them. Users can share their development ideas with the world, collaborate with others who share similar interests, and get the attention of potential sponsors — who could turn their project ideas into reality. The ultimate goal of Addis Ideas is to promote information sharing, enhance public participation in African development, and create a collaborative work space for everyday people who would like to see change in their communities… It’s a crowd sourcing solution for African development.